Jobs in Environmental Protection Agency – Government of Khyber Pakhtunkhwa 2018 Applications are invited from Khyber Pakhtunkhwa/FATA Citizens (Male and Female) for the following project/regular posts on contractual basis under various ADP Schemes mentioned against each. I) The monthly salary structure is based on Govt. of Khyber Pakhtunkhwa, Establishment Department (Regulation Wing) Notification No. the rest of the posts should apply directly through NTS on prescribed forms. 2) Application form should be carefully filled in by the candidate as the provided information will be considered final for further process. interview. Candidates will be out of process at any stage even after the test if not fulfilling any of the requisite criteria. 4) For late application submission or incomplete/deficient and false information, candidate will be self responsible for the outcome. 5) A candidate can apply for more than one post by submitting separate form for each post with separate fee in separate envelope. 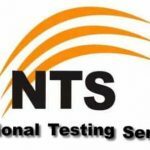 7) NTS Test will serve for screening purpose. Only shortlisted candidates will be considered by the department for post/test process. 8) Applicants already in Government/Semi-Government service shall produce NOC at time of interview. 9) No age Relaxation is admissible for the project posts. No TA/DA will be admissible for the purpose of test/ interview. 10) The competent authority reserves the right to increase or decrease number of posts or cancel/postpone recruitment process at any stage.